As an Internet marketer, you probably already know that promoting other people’s products is the fastest, easiest and most effective way to make money online. What type of products you can promote with your affiliate marketing business? The answer is … anything. You can promote literally anything and there are both people out there who will buy it and other people who are selling it who are more than happy to pay you to lead paying customers to them– both digital and physical products. Amazon offers every imaginable product for sale, from sailboats to books, from DVDs to vacation homes. If you can think it, Amazon sells it. Did you know that Amazon will pay you to promote their products? It’s true! Amazon has an affiliate program called Amazon Associates. All you do is sign up– for free– select which products from their vast catalogue of products that you want to promote and then start selling. You can promote the products you have selected just about anywhere … from your blog to your Facebook page to your web page. You can send out emails to people on your subscription list telling them about the products you are promoting. You can promote products on Twitter. You can use your Instagram account. All you need is the ability to give your buyers a link that they can follow back to Amazon and buy the products you are promoting and you get paid. You can select any of the millions of products offered by Amazon when you sign up with Amazon Associates. When you make your selections, you are given a personalized URL. This is the link to the Amazon product that you are promoting. You can insert that link into your web page, social media posts, emails, blogs or anywhere you like. They are led directly to the Amazon page where they can buy that product. Whenever somebody clicks on the URL, an identification code embedded in the URL tells Amazon who should receive the commission when they buy the product. Amazon also maintains its own payment system, so you don’t need to have PayPal or another payment program to take part. Commissions can be held in the Amazon account, used to buy products on the site, or can be sent directly to you via your bank account, a check or a prepaid debit card. 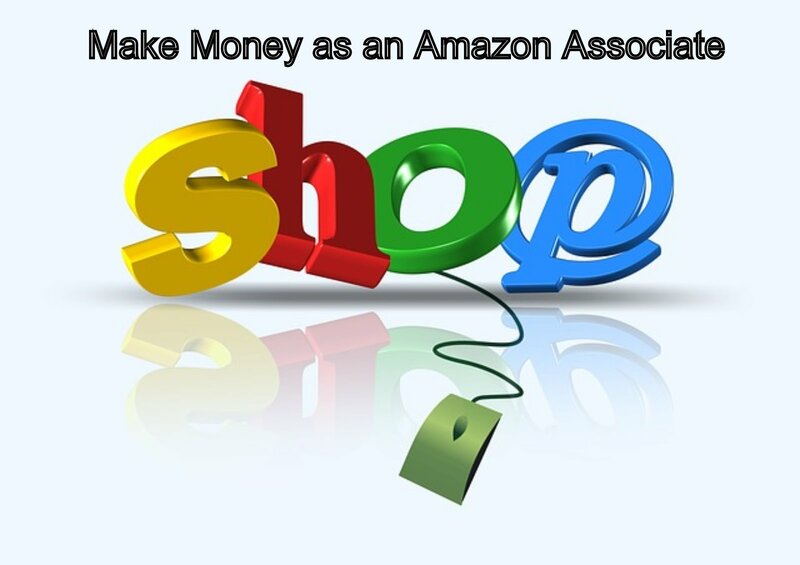 There are more than 900,000 members in the Amazon Affiliate program. How much commission do you get paid? It depends on the product you sell but it begins at 4 percent. It also depends on how many products you sell for Amazon. Generally, the more units you sell, the higher your commission, with the highest commission they pay now being 8.5 percent. ClickBank is a website that specializes in digital products such as eBooks, videos, audio recordings … anything that can be downloaded through your computer. Unlike Amazon, Clickbank doesn’t sell any physical products, which actually makes it really efficient because they don’t have to worry about delivery systems, securing inventory and all that stuff. Okay, the best thing about Clickbank is that they pay up to 75 % commission on affiliate sales that you make. The commission varies from product to product, but essentially it stays within the 70 % to 75 % range for the digital products that you promote through Clickbank. Let’s say you are promoting an eBook on your web page related to health and fitness. Somebody goes to your page, reads about the book, clicks on the link and buys it. You just made $7.50. Now, let’s say you did a good job or promoting this product on your web page and you also did a good job or getting people to visit your web page. It wouldn’t at all unusual for 100 people to buy the eBook through the link on you page if that’s the case. You just made$750. If a thousand people buy it, you make $7,500. To learn more about affiliate marketing, visit the most successful affiliate network on the net now.